Providing a range of villas to suit all travellers and parties, the Calypso Cay Resort Vacation Villas which are based in Kissimmee is a good location to make the most of everything Orlando has to offer, from exciting theme parks to lush golf courses and chic shopping malls. 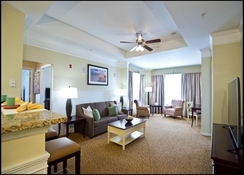 The villas can sleep between four and eight people and have Free Wi-Fi, cable TV, kitchens as well as some on-site amenities such as a swimming pool and 18-hole miniature golf course. 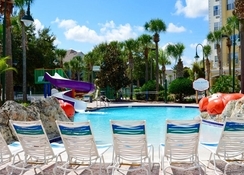 Staying at the Calypso Cay Resort Vacation Villas means you are close to the likes of SeaWorld, Epcot, Disney’s Hollywood Studios and Walt Disney World and the property offers a place to relax after the hustle and bustle of central Orlando. 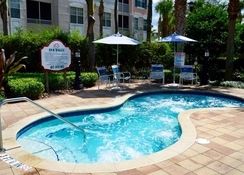 Calypso Cay Resort Vacation Villas are located in Kissimmee which is to the south of Orlando. They are close to several golf courses and the Lake Buena Vista Factory Stores is less than a mile away. Other attractions that are easily accessible from here are SeaWorld (4.7 miles), Epcot (4.8 miles), Disney’s Animal Kingdom (6.8 miles), Walt Disney World (8.1 miles) and Universal Studios (9.2 miles). 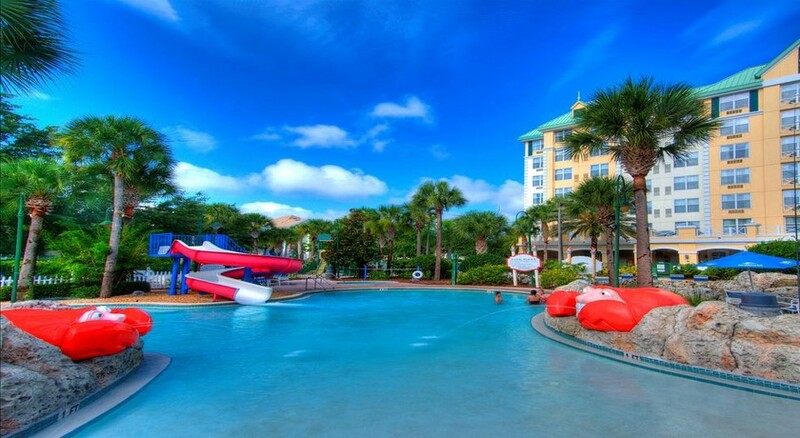 The Orlando International Airport is 12.3 miles away from the resort. You can choose from four different villas here. One Bedroom Villas sleep four people and have one extra-large double bed in the bedroom and one sofa bed in the living room, Two Bedroom Villas have capacity for six people with two double beds, one extra-large double bed and one sofa bed while Three Bedroom Villas can sleep eight people and feature an additional extra-large double bed. Finally, you can stay in a hotel suite which has room for four guests. 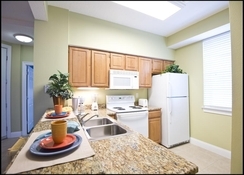 All the rooms and villas come with free Wi-Fi, cable TV and kitchens. 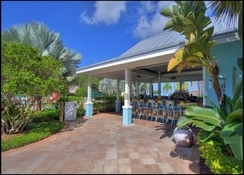 There is an on-site bar at the Calypso Cay Resort Vacation Villas and they also come with a fully equipped kitchen for guests to prepare their own meals. The Tropico Mofongo restaurant is just 300 yards from the property if you do wish to dine out. Calypso Cay Resort Vacation Villas has an 18-hole miniature golf course in addition to three heated pools, two toasty hot tubs and a playground. Guests can also use the basketball and sand volley ball courts. Falcon’s Fire Golf Course is only 1.4 miles from the property and the surrounding area offers go karting, Segway tours and a flea market. The Lake Buena Vista Factory Stores is less than a mile away as well.